"I'm sorry for your loss. I hope the Ingle family will draw..."
Jay Edwin Ingle, loving husband, father, grandfather, brother, and friend to many, went home to be with the Lord on Monday, February 4, 2019. He was born on November 11,1935 in Overbrook, Kansas. After graduating high school Jay joined the United States Air Force in 1954, where he proudly served his country for four years as a 852 Bomber Tail Gunner. 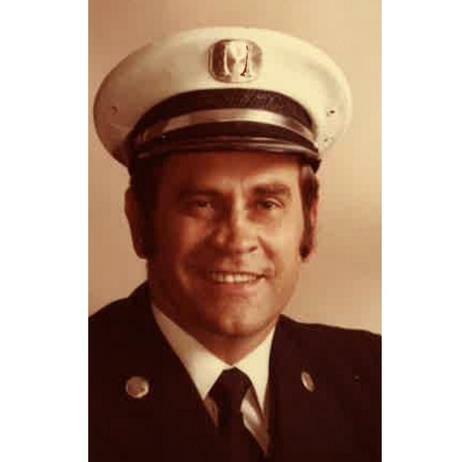 Jay devoted his life to serving others when he started his career in the fire service in 1960 at the North Central Fire Department in Fresno, California. Firefighting was his life's passion where he poured his whole heart into helping others everyday. After serving for over 24 years and making many lifelong friends, he retired from the Fresno Fire Department on May 5, 1984. His love for his firefighter brothers was only surpassed with his love for his family. He was a caring husband for many years, a devoted father to his daughters and a proud "pappy" to his four grandchildren. He was never afraid to tell perfect strangers how proud he was of his family and loved sharing in their joys and success. Jay is survived by his wife Gail Ingle; daughters Vicki Clarkson and husband Jeff, Jill Hunt and husband John; grandchildren Heather Freeman, Jennifer Vogt, Jeremy Hunt and Lindsey Clarkson and his sister Carol Bell of Lawrence, Kansas. He is preceded in death by his former wife of 39 years, Loretta Ingle. Services will be held at Stephens & Bean Chapel on Monday, February 11, 2019 at 10:00 am.